Jim Robbins & Associates Welcomes Experienced Industrial Fan Manufacturer to All-Star Equipment Lineup - Jim Robbins & Associates, Inc.
Memphis, TN – Jim Robbins & Associates has been named an exclusive representative for Chicago Blower products. Chicago Blower offers dependable industrial fan solutions and their product offerings compliment the rest of the offerings from Jim Robbins & Associates. The partnership strengthens Jim Robbins & Associates position as a leading manufacturer’s rep in Tennessee, Arkansas and Northern Mississippi, and customers now have a leading option for their industrial air-handling needs. 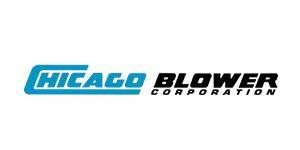 Chicago Blower is an industrial fan and blower manufacturer with more than 70 years of experience. In 1952 Chicago Blower became the first fan company to design and sell a centrifugal fan with an airfoil blade, and they have been setting the industry standard ever since. Jim Robbins & Associates President Walker Robbins said he was thrilled to offer products from such a prestigious company, and that they would offer an ideal solution for industrial customers. Chicago Blower equipment offered to Jim Robbins & Associates customers include: Fans and blowers, Vaneaxial fans, Radial tip fans, Industrial exhausters, Backward inclined fans, Backward curved fans, Tubeaxial fans, Pressure blowers, High temperature fans, Airfoil fans, and Forward curved fans. Chicago Blower’s equipment can be tailored to fit the customers’ needs. This is important for Jim Robbins & Associates, who sits down to listen to the customers’ needs before offering a solution. Since 1980, Jim Robbins has been a leader in bulk solids handling and air pollution control equipment. We serve clients in Tennessee, Mississippi, Arkansas, and Virginia. Our focus always has always rested on one thing: making every installation a win for the client. We want to reduce your costs, improve your process, and make sure that you meet your operational goals. We are now the proud exclusive representatives for 20 primary manufacturers, and we have a consistent track record of delivering high-performance, customized solutions. Chicago Blower Corporation has been designing and manufacturing pre-engineered and heavy-duty fans and blowers for over 70 years. Our privately held company was founded in February 1947 and has been growing ever since. What began with only four employees in a small Chicago factory grew into our vast Glendale Heights plant that is the center of CBC’s operations where engineering, fabrication, testing, inside sales, accounting, purchasing, and marketing all work together to maintain our reputation for exceptional performance and reliability. President, Jim Robbins & Associates, Inc.